Sunday morning… my list is full of things to do, I glance at my email… and there it is, the email I have been waiting for. Its amazing how one thing, can change the course of a day… even your life. Our neurosurgeon said the scans looked great… that there was great flow. 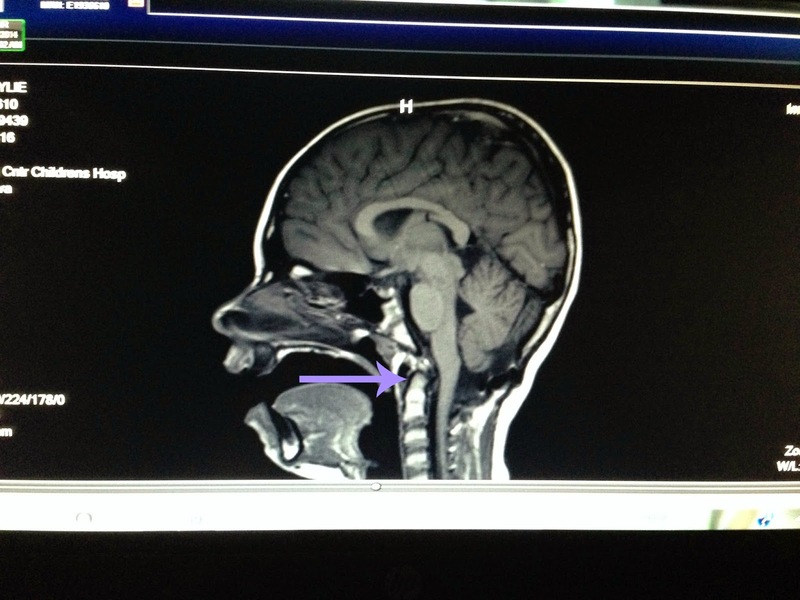 But, the only thing on the scan that is not completely normal other than her surgery, was that she has "retroflexed odontoid process". This is what I have been worried about, we have always know the possibility of her having this was there. 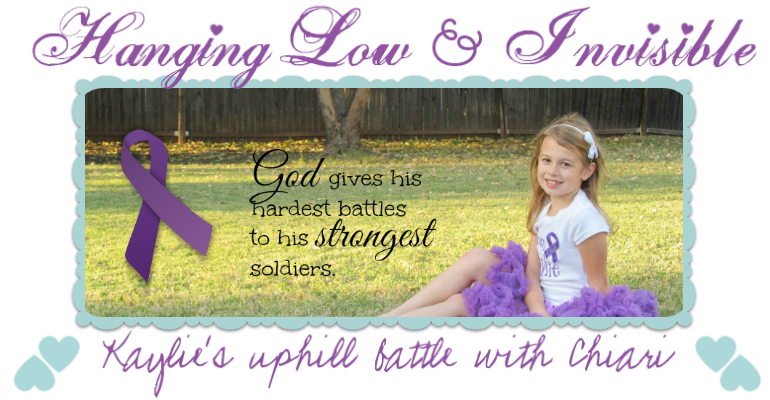 This is actually what Mason has… but you have to remember Mason does not have Chiari. Nor does he have symptoms… the only thing Mason struggles with is his Apraxia Speech, which is a oral motor planning issue caused by a neuro issue… Retroflex Odontoid can cause motor planning issues. Back to Kay… so, basically we need to keep better track of her symptoms. I know they are happening a lot more often than I ever tell people, or that I log. I have kind of slacked on logging her symptoms… b/c things were going so well. So, I have revised the way I log symptoms, one day I will talk about this more. Our NS suggested that if symptoms are getting worse to get a cervical spine MRI with flexion and extension. I will be talking to our pediatrician about all of this, and possibly getting the MRI now as a baseline. Whats all this lead to… well, there will probably come a time where she needs another surgery, a cervical fusion to be exact. This is the surgery that my friend Amy just had, that I have talked about in previous posts. This surgery really goes off some measurements and her symptoms. So it may not be this year or next… we really need to take this one step at a time. But I can say her probability of needing to have one in the future is high. 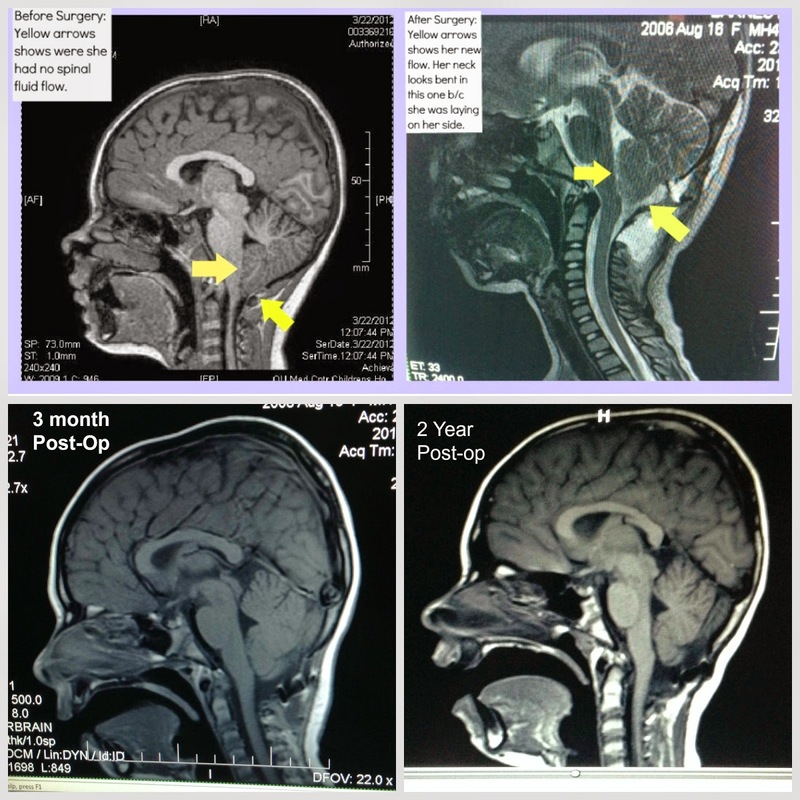 So below, I have posted 4 of her MRIs… the top two, is before surgery, and 3 days after surgery. Bottom left is 3 months after surgery, and the bottom right is a few weeks ago(2 year post op). Then there is a single one below the group of them… that again is her 2 year post op one. 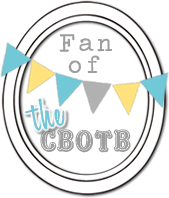 So, that's whats going on…. 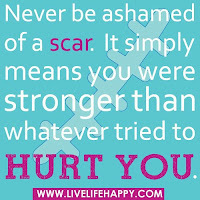 even though we will be facing another surgery one day…. this time its different. Yes, yesterday I was upset, but I have know about this for the last 3 weeks…. I think what is upsetting is that there is always a glimmer of hope that since you aren't the doctor that you might be wrong… but when you hear back from them… its finalized. That's the upsetting part. I think it almost a curse either way… knowing too much information on a condition, and at the same time not knowing enough…. either way, it always hits you like a ton of rocks! On another note… Kaylie's 8th Birthday was a few days ago! 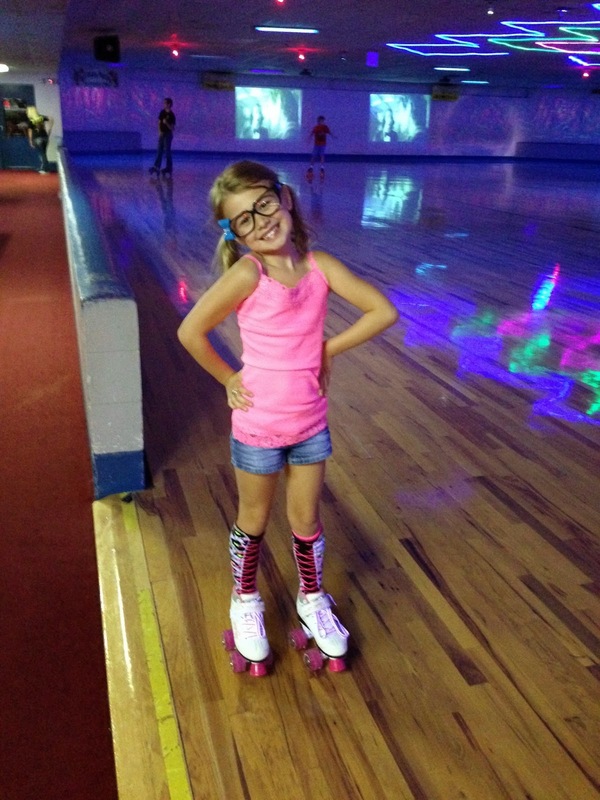 Can you believe she is 8 now…. She had a skating party with some of her friends… she had a great time, and she did so well out on the skating rink. Never fell. We didn't make her wear a helmet…. it was in the car (just in case), but I knew she would be holding on to the side wall most of the time… like I said, she did great! fake glasses…. lol, she is so cute! 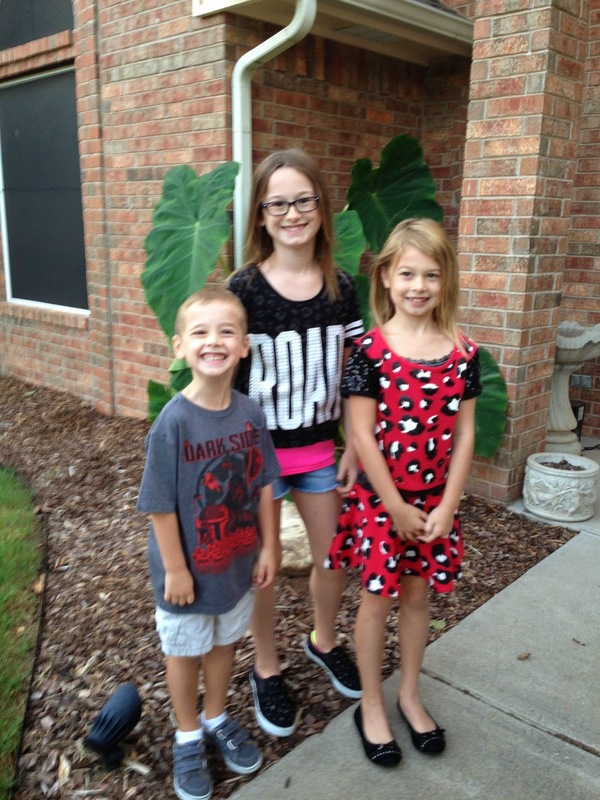 The kids started their new school yesterday…. they did great! And this mama never cried! They all liked it, I think Kay & Mason are a little nervous, but that's to be expected. I was a little worried about Abby, … at her age, a lot of the kids know each other… but she said she met 5 new friends, and sat by them at lunch… she is her mom's personality… so she will be ok! I know… they are getting so tall!!! 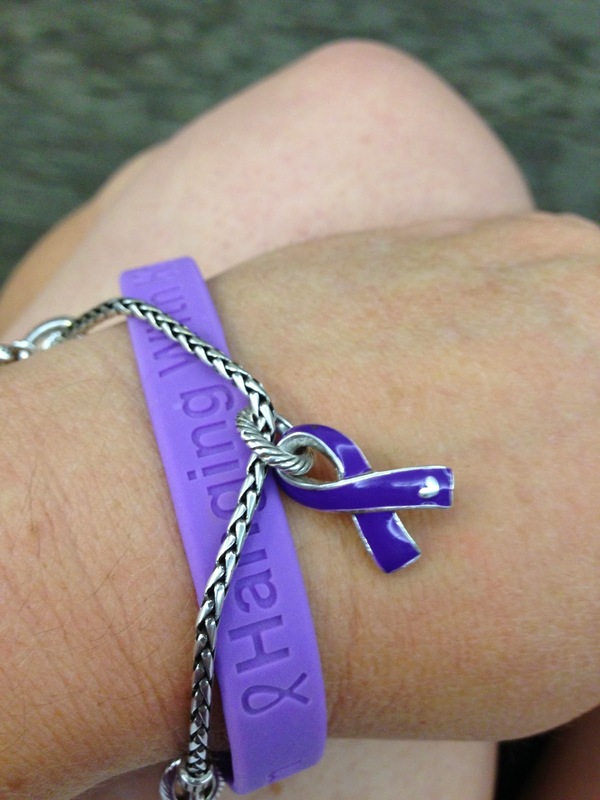 Well…Im wearing bracelets, and posting… hoping my rituals will take effect, and I will hear something soon! 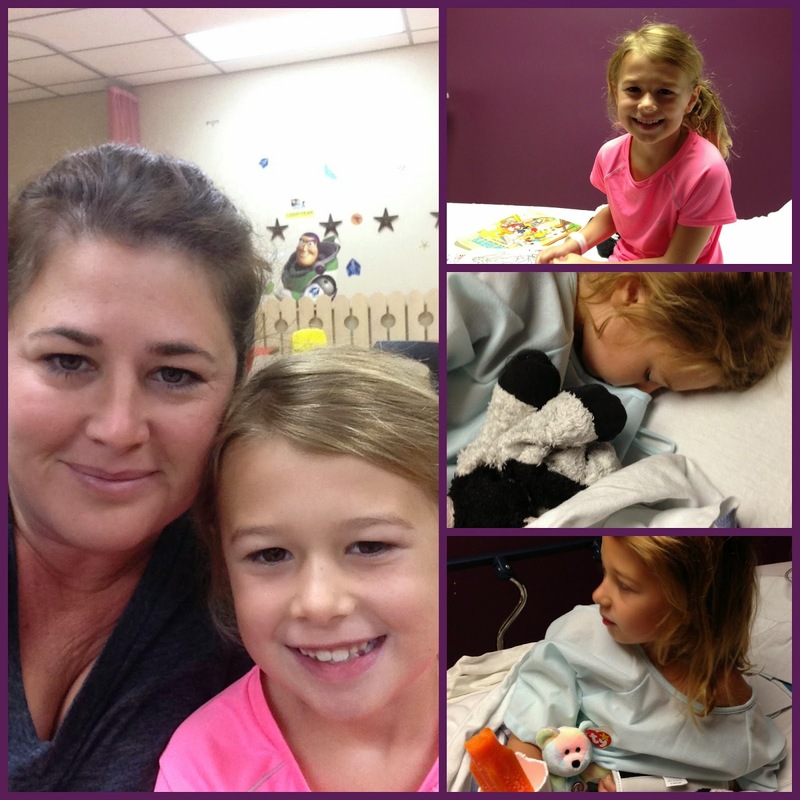 Kay had her MRI on Tuesday…. I didn't post about it, b/c I just needed time for my head to rest. We had a great nurse Courtney… really sweet girl, gave Kay a "birthday bear" since Kaylie's B-day is around the corner. Kaylie did very well…. I am always scared what it will be like when she wakes up, with anesthesia you just never know… and since she has been under over a handful of times… I think I can say that! But, she actually did great… no angry Kay came out!! lol It didn't take too long… about 45 min or so. I did get copies of the MRI on CD… yes, I have looked at it. And it has already been mailed up to Dr. Rekate. I'm sure I will hear from him next week sometime. As for my thoughts… I'm not going to post her MRI on here, until I have talked to him. She does have great flow, and areas of the decompression do look good. There is a small area of concern of possible related conditions… but we are going to wait to hear from him, before jumping into anything. If I could urge anything… is more awareness in the medical education system is much more needed than people know. One of the "tiresome" things I always get to experience is the questions of "Why did you go there for treatment… we have great doctors here" And my answer will always be the same… We may have great doctors here, but we wanted more experienced neurosurgeons with these conditions to treat our daughter. I wanted someone that operates 5 times a week on this condition, rather than 5 times a year (if that). When people ask this question… they really have no idea of the person they are asking it of…. it really isn't hard to understand these conditions, it just takes the time to learn them. We currently have 144+ people Pre-registered, involving 20 Teams!!! This isn't counting a list I have running at home. This is really going to be an amazing walk…. and A LOT of Awareness!